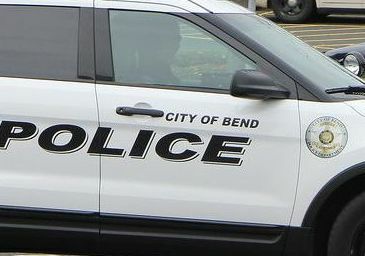 BEND, OR -- Bend Police increased downtown patrols, this summer, and the Police Chief says it paid off. The foot patrols were part of an overall response by the city to complaints made public, last summer. Business owners, visitors and residents complained about ongoing livability issues, like loitering, drug use and trash in the downtown core, especially over the summer. Chief Jim Porter says his officers made a concentrated effort to address those concerns, from June through August, "It went exceptionally well. We increased our contacts by about 14%; that means officers downtown talking to people, making contacts with people- positive contacts. They’re initiating the contact. Overall we decreased all calls, overall – people calling in for help – we decreased that by almost 12%." He tells KBND News, "We focused on some very troubling areas, and some very troubling individuals, quite frankly. And so, with that, we were able to decrease the number of emergency 911 calls by 36%. We decreased calls for intoxicated issues downtown, by almost 50%; decreased the number of ‘unwanted’ calls – people who are concerned they are possibly committing a crime or that people are doing something that’s making people nervous, we decreased those by over 20%." At the end of last summer, City Council approved a package of fixes to address complaints, including installing security cameras and removing a troublesome garbage enclosure. Chief Porter says the downtown foot patrols will return next summer, as part of the department's strategic goals, "It’s not something we’re just talking about. We’ve actually put it on paper and said, ‘this is our goal, to continue to decrease crime in that area and increase livability throughout the city and the downtown area.' So, it’s not a flash in the pan; it’s not a – 'we’re just going to throw something at it and walk away.' We know we have to maintain a level of presence downtown to make sure everyone feels safe down there." The department also plans to open a downtown substation, later this year.